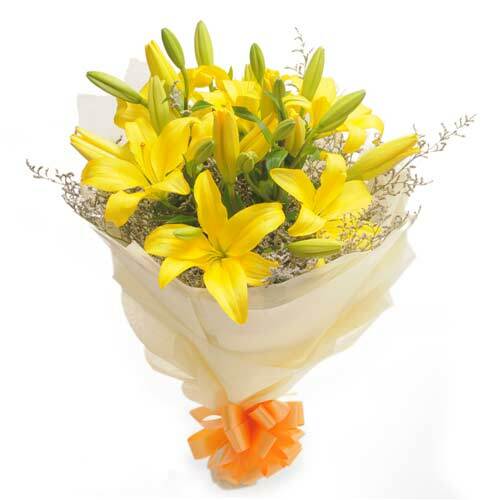 A special moment is for a person with some delicate delicacies in the form of this beautiful bouquet of yellow lilies. 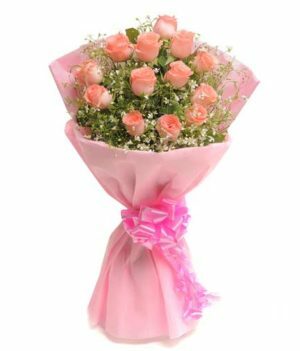 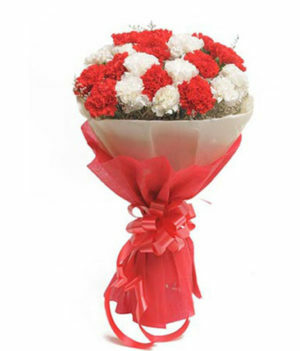 It is beautifully prepared by the experts at wishbygift.com to let you cherish your special occasions. 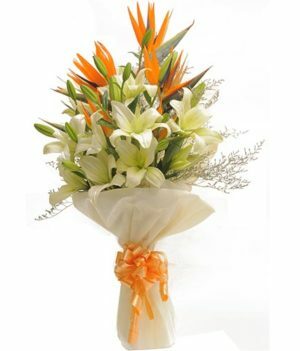 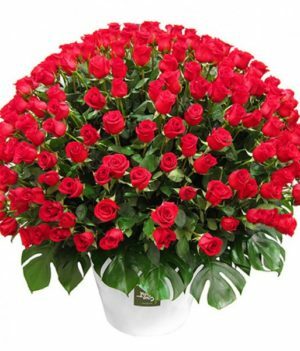 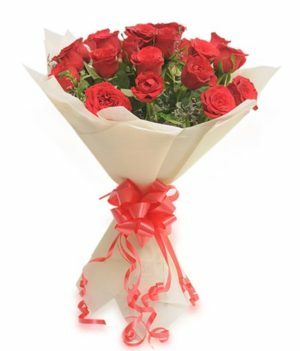 The arrangements at our website online are delivered at your sweet convenience, fresh and in a good condition. 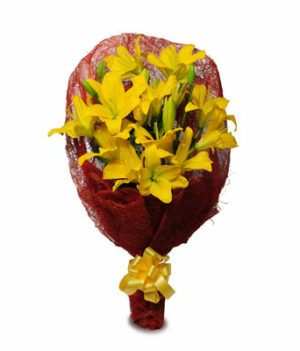 Pick this pretty and vibrant bouquet today and make your special ones feel blessed having you in their lives.